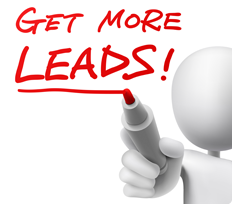 Are you tired of buying leads that have been sold to many others? Leads that when you call them you find the people very negative, not interested, and maybe even Abusive? Often we find it too expensive to get into advertising on our own so we trust the lead brokers who make only one person a lot of money... Themselves.. There are two main reasons for Network Marketers finding advertising too expensive or thinking it doesn't work. First, advertising spending to leads generated is not a Linear Equation, it is in fact Geometric. What this means is if you can only generate 1 or two leads for spending $100 on an advertisement, if you spend $1000 even in the same publication, you will not generate 10 leads. In fact you would likely generate 25 leads! The problem is most of us on our own can not afford the bigger ads that ultimately generate more leads per dollar spent. The second is we don't know how to do it, we don't have confidence in it, and therefore we spend a lot of money on advertising that doesn't work at all while we learn. Normally we run out of money or belief before we figure it out! The HourADay.com MLM Advertising Co-Op is the ANSWER! HourADay.com sells Advertising Co-Op Shares for as low as $25/month/share. We then combine the money we get from all our loyal subscribers and place ads on their behalf. 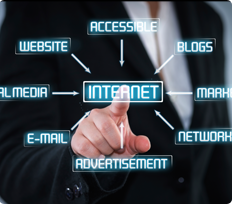 As the HourADay system can be set to tel whatever story you want, our traffic is simply traffic, and we rotate the TRAFFIC we generate between each user on the Advertising Co-Op list. One share is one spot on the rotation list. This allows us to use OUR extensive advertising expertise to put out the most effective advertisements in the most effective publications, AND have a budget to place the bigger ads in the bigger publications generating MORE leads per $ than you could on your own. If you still believe you can buy leads for 25 cents each and get rich, then our Advertising Co-op is NOT for you. The key to the HourADay.com system is to work smarter, NOT harder. As a result, you can expect 1 to 2 leads per month for $50/month of spending. The difference is, you can expect to enroll 25-50% of the leads you get depending on how you set your sales funnel. If you have gone with our suggestions and templates this should be achievable. It is NOT totally AUTOMATIC, you still need to do the work of making phone calls, you still need to put in your honest HourADay. By calling all your leads, and of course having much more qualified leads, you will close a very high percentage, and you will be able to expect more duplication as a result of a proper system and work ethic being shown to your prospects and new members. The difference is, you buy 25 cent leads and get hundreds of them, you don't call them as you don't have the time, and the results just aren't there. Sift and sort properly, you are left only with those interested, vs you needing to generate the interest yourself. Lets look at a few advertising examples so we know what is possible in the HourADay Ad Co-Op. Let's say all our subscribers across many MLM's kicks in just $50 a month, and we have 700 people in our ad Co-Op. We would have would have $35,000 a month to put into advertising. Even an full page ad in Success Magazine for $18,000 with a circulation of 200,000 people is in our reach. If we got just a .5% response rate, that would be 1000 Highly Qualified leads in a worst case scenario. This would be a cost per SUPER QUALIFIED PERSONAL lead of $18. An honest lead seller will be selling you this as a $25 to $50 lead. Oprah's magazine is $163,960 for a circulation of 2,395,496 so the same logic would give 11,777 leads. This is about $13.92 per SUPER QUALIFIED PERSONAL lead. Imagine even 2 leads per month that with a 4 to 6 calls and follow up calls each leading to an enrollment rate of 50%. You think you can do that in an HourADay? The HourADay Ad Co-op can help you get you and your team into High Quality advertising that will generate HIGH QUALITY LEADS specific to your opportunity. All OPT IN and all interested in the things you share with them in your HourADay prospecting System. Ad Co-Ops are so much more efficient and generate so much better leads than buying leads that have been generated with similar methods but for a generic scenario. Target Target Target, that's the key to enrolling more people in your company with less effort as the HourADay Auto prospecting System does all the heavy lifting for you!